This elegant yet modern Abberley shaker kitchen is available here in cream. 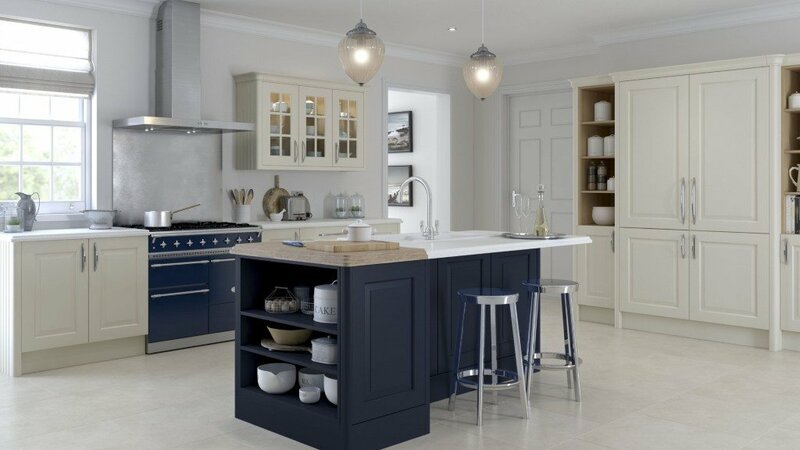 The shaker design of the Abberley is a modern classic suitable for many kitchen styles. It is combined here with an kitchen island which has been painted in ink blue. 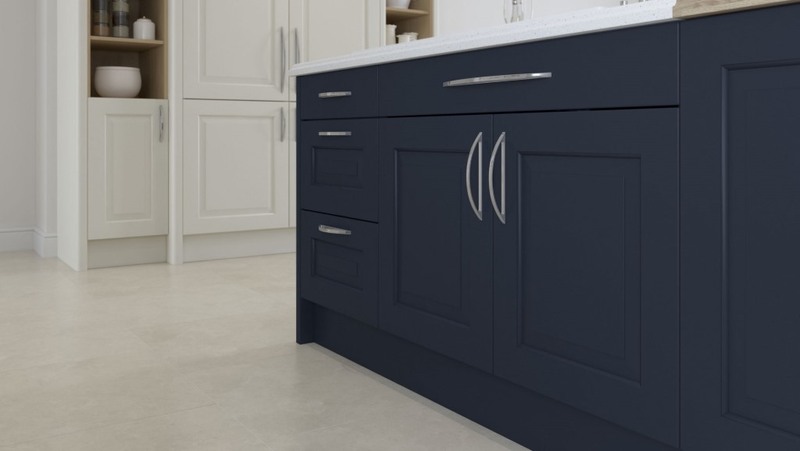 The ink blue is part of the sophisticated 28 colour painted option also available in the Abberley style. To see the painted options click here.